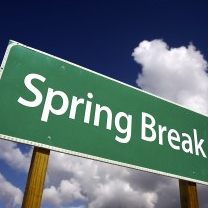 Make your plans now to get out on the road with the kids for Spring Break. No matter which school district you're a part of, we've got you covered. For reservations that pickup from March 1 and return by April 30. 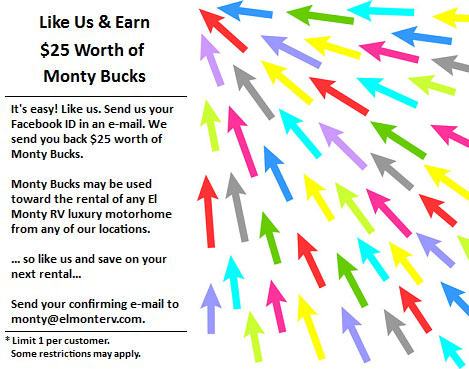 Rent for 7 nights or more and get one night free, plus get 50 free miles per night. This special is good on all unit types and at all locations. RV Tailgating Idea: Super Bowl XLVIII! It's not too late to make a reservation for this incredible event. 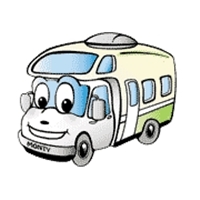 Book online or call us now to reserve your motorhome. Don't miss your chance to see who will emerge victorious - Seattle or Denver, as these deserving teams battle it out. The NASCAR season is gearing up! Now is the time to make your plans to hit the track for some fast-moving fun! The Daytona 500 race at the Daytona Int'l Speedway on February 23rd! 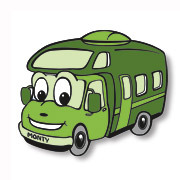 El Monte RV is pleased to feature Soledad Canyon RV Resort in Acton, CA as this month's Campground of the Month! Soledad Canyon RV Resort is a beautiful campground with resort-style amenities nestled at the base of the San Gabriel mountains. This Los Angeles area RV campground is well shaded with towering cottonwood trees and Italian Stone Pines as well as Palm and Elm trees. It boasts the largest swimming pool in the west surrounded by 15 acres of picnic areas. As well as a fishing and duck pond, they have two cemented streamways with wading ponds - popular with the young ones. Their family lodge is large with a lot of activity going on. On the other side of Soledad Canyon RV Resort is an area designed for adults, with a private swimming pool. There are so many amenities (many of them recently upgraded) at this resort, you won't know which one to enjoy first! Choose from shuffleboard, swimming pools, hot tub, volleyball court, basketball court, horseshoes, tennis courts, game room, library, arts & crafts, and a Clubhouse. The resort also offers a restaurant and laundry facilities. All this just a short 30 miles from Los Angeles, where the choices are endless. Just ask the office for more excursion ideas! For more information about this campground, please visit their website. To view a video of this rv resort, please click here. 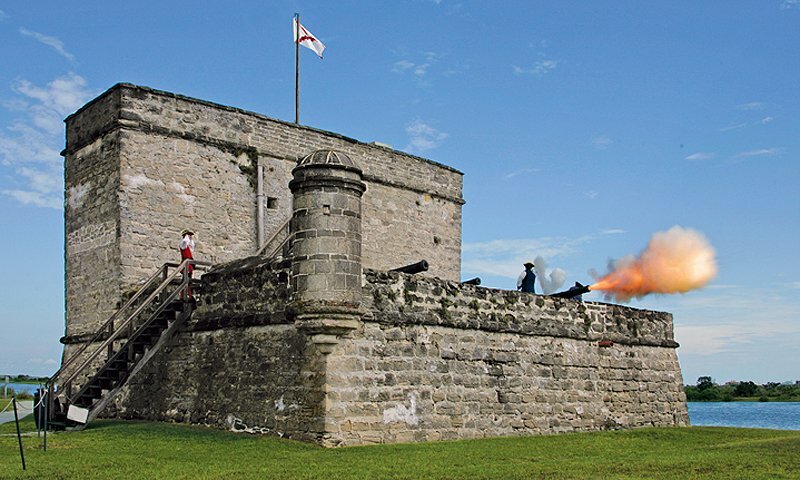 Fort Matanzas National Monument will be one park that should be on every history buff's bucket list. Rich in history, the fort has defended this area for hundreds of years against those who would seek to claim it. There are no fees to enter this park, or for the ferry that provides transportation to it. The area surrounding the fort also provides a number of historical destinations, such as the St. Augustine Lighthouse & Museum, Colonial Spanish Quarter Museum, and the Oldest House Museum. While there is no camping in the Monument, you'll find campgrounds in nearby Anastasia State Park, a short 14 miles north. You'll also want to take the opportunity to also visit Kennedy Space Center where the Space Shuttle Atlantis has found a permanent home. We have an RV rental location in Orlando, FL that makes the drive to this national monument easy. However, if starting your trip from another location is more convenient, we also have many other rental offices, so please visit our locations map to find a location that may be more suitable. ~ Preheat a grill to medium heat. ~ In a large pot, mix together the hot sauce, cola, cayenne pepper, black pepper and soy sauce. ~ Add the wings to the sauce - frozen is okay. ~ Place the pot to one side of the grill, so the sauce comes to a simmer. ~ Use tongs to fish wings out of the sauce, and place them on the grill for 8 to 10 minutes. ~ Then return to the sauce to simmer. Repeat this process for about 50 minutes. The sauce will thicken. ~ You can dip one last time and serve for sloppy style wings, or serve right off the grill for dryer wings. This best selling Class A slide-out model sleeps four, comes with stove, refrigerator/freezer, microwave, generator and so much more. Looks like new! Includes warranty.